I'm not going to do a lot of writing in today's post - I think the photos can speak for themselves! It was meant to be a make up post today, but I ran out of time - so it's nail art again today...! I've been meaning to do some butterfly nail art for a long time now and when I got the Models Own Polish for Tans collection, I thought it was the perfect opportunity. I started with a gradient of the four polishes - from Bikini (yellow), to Beach Bag (orange), then Shades (red) through to Sun Hat (pink) - over a white base. 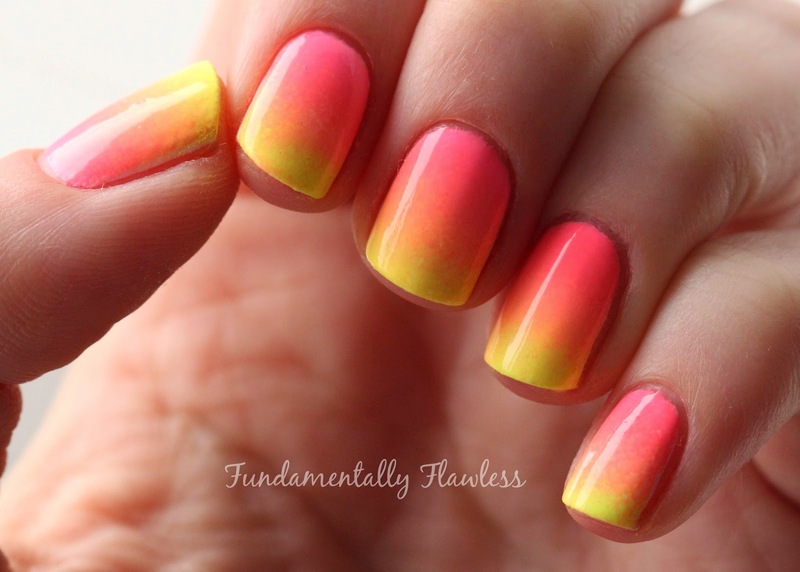 I'm often asked how to do a gradient, so you can find my tutorial here. 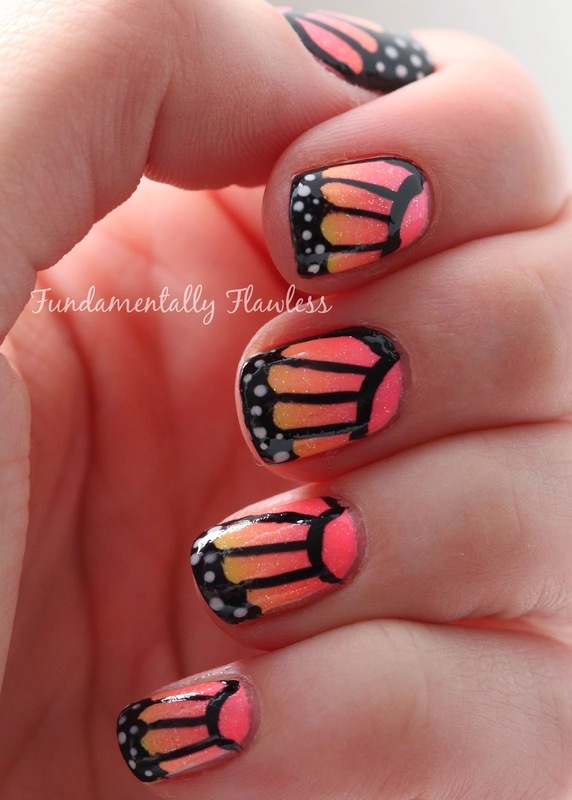 For the butterfly nail art I checked out various tutorials online, but this one from Nail Art 101 is a particularly good one. It's surprisingly easy, as long as you have a striper brush and a steady hand! I used the Rio Nail Art Pen in black and did the white dots with a dotting tool. 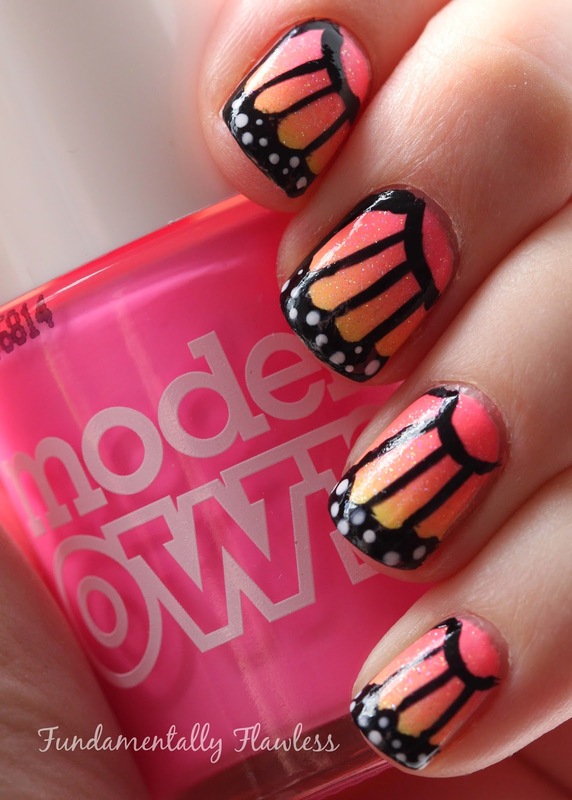 Have you ever tried butterfly nail art? 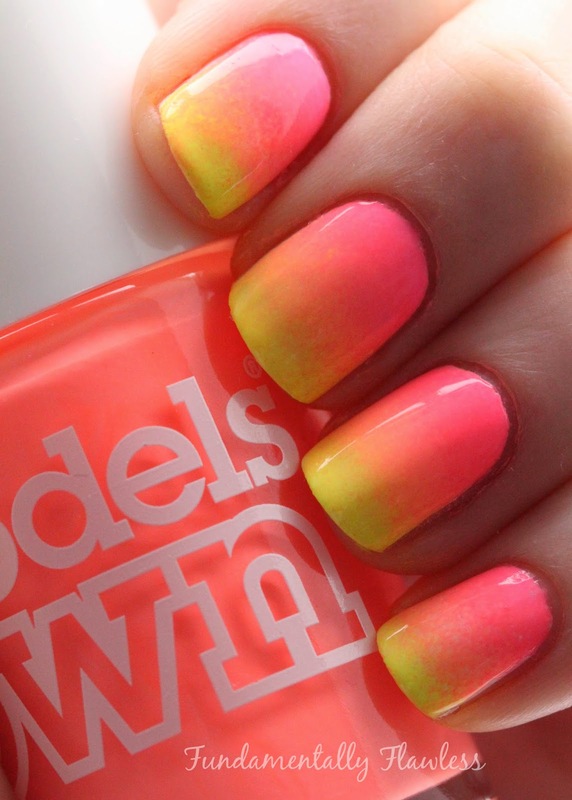 What other nail art could I try over a gradient base? Stamping is something I do want to try... Leave your thoughts in the comments below! 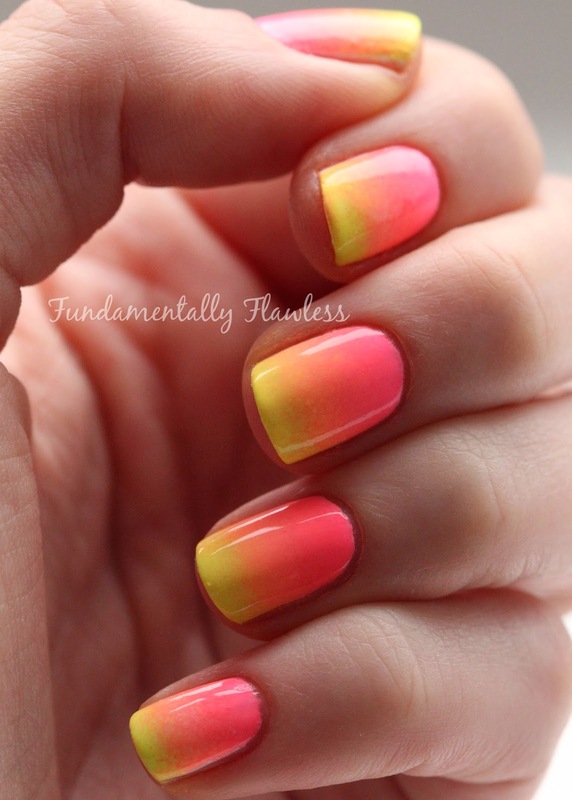 Fabulous summery gradient - love it!